The official journal of the Society for French Historical Studies. French Historical Studies, the leading journal on the history of France, publishes articles and commentaries on all periods of French history from the Middle Ages to the present. The journal’s diverse format includes forums, review essays, special issues, and articles in French, as well as bilingual abstracts of the articles in each issue. Also featured are bibliographies of recent articles, dissertations, and books in French history and announcements of fellowships, prizes, and conferences of interest to French historians. What Made Reading Dangerous in Eighteenth-Century France? French Historical Studies is published on behalf of the Society for French Historical Studies. For more information about membership, visit the society's page. Sign up to receive French Historical Studies table-of-contents alerts when a new issue is published. Congratulations to this year's winning essay, Nguyễn Thị Điểu's Ritual, Power, and Pageantry: French Ritual Politics in Monarchical Vietnam. 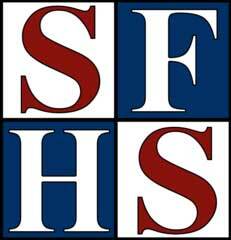 The William Koren, Jr. Prize is awarded by the SFHS to the most outstanding article on any period of French history published the previous year.